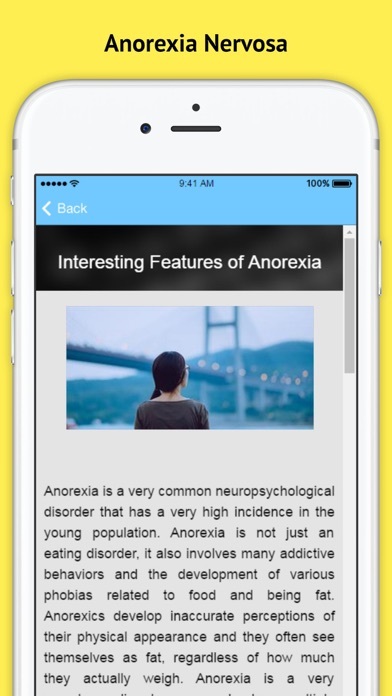 *** 24 Hour Sale - 60% Off - Buy Soon *** Anorexia - Symptoms and Treatment is a app that includes some very helpful information for An In-Depth Overview of Anorexia Nervosa !! 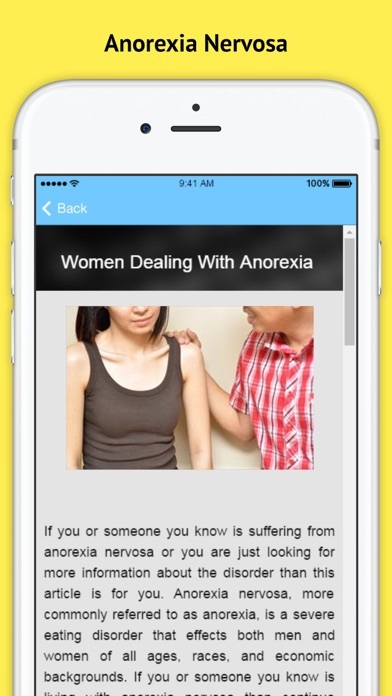 Anorexia - Symptoms and Treatment includes What Is Anorexia? Anorexia as a Topical Issue of Modern Society Interesting Features of Anorexia Is Anorexia a Form of Brainwashing? 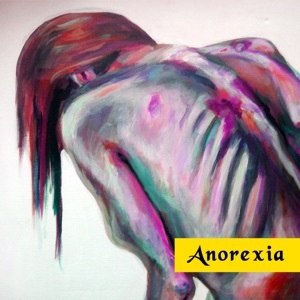 Controversial Aspects of Pro Anorexia Anorexia Nervosa Detecting the signs of Anorexia Women Dealing With Anorexia The Human Behind the Condition Spotting the Signs of Anorexia Kids and Anorexia Hypnotherapy For Anorexia Male Anorexia Does Exist! Behaviors of Girls with Anorexia Common Myths and Misconceptions about Anorexia Dying To Be Thin And Much More! So What Are you Waiting For !?! 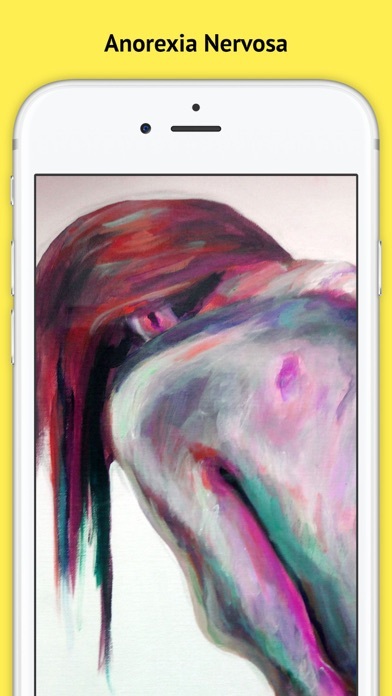 Download the "Anorexia - Symptoms and Treatment" App Now! And Learn How to Control Anorexia Nervosa Today ! !